Prior to living in the community of Kambove in the Democratic Republic of the Congo, Tina* lived in another province called Kasi, where she stayed with her parents and three siblings. Her mother, Vanne*, had run away from her own family many years ago and they did not know where she was, nor that she was married with children. After some time, Tina’s father married a second wife, who practiced traditional healing and medicine. In an argument, the new wife threw something at Vanne, causing her to go permanently blind. A year or so later, Tina’s father passed away, leaving his two wives and four children behind. When Vanne’s mother found out where she was staying with Tina and her siblings, she set off to find and bring them back to live in Kambove Community. As Vanne was blind, it posed an immense challenge for her to effectively care for her children. Often, Tina and her siblings were mistreated by their grandmother, as she was still angry at her own daughter for running away so many years ago. Tina and her siblings were struggling with their health when they were discovered by the local volunteer Care Workers from the Maisha Community Based Organisation (CBO). Initially, Tina couldn’t play, and rarely smiled. Her hair was falling out, her belly was protruding and her feet were swollen; all symptoms that she was severely malnourished. Thankfully, the children were warmly welcomed to the Care Point, where every day they could receive a hot and nutritious meal. Additionally, the Care Workers started supporting Vanne as she was also malnourished and, slowly, her health has begun to improve. 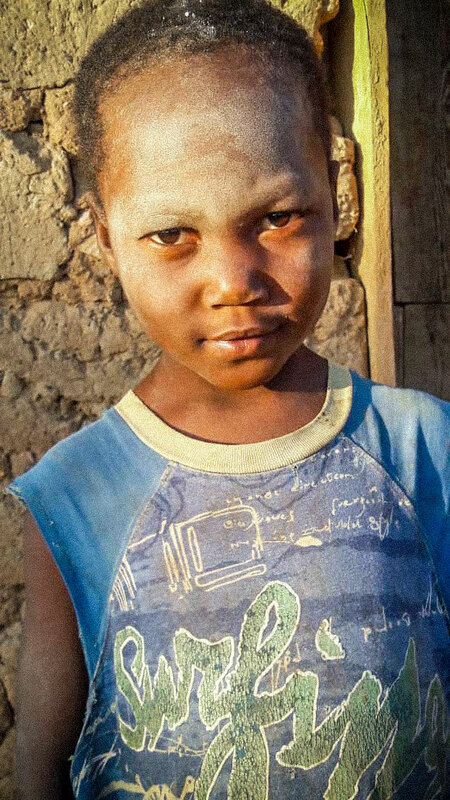 Today, six-year-old Tina is in grade 1 and can be found playing and laughing with the new friends that she has made at school. Every day, Tina leads her blind mother to the Care Point, where they can receive a nutritious meal together. The Hands at Work Local Office team in Likasi are amazed at how the family’s health has improved and are thankful for the faithful commitment of the Care Workers in Kambove to care for the most vulnerable!